The file Exterminatus v.9.22 RC4 is a modification for Half-Life 2, a(n) action game. Download for free. Exterminatus is mod for Half-Life 2 created by 40KSource Team. It’s a total conversion that allows gamers to participate in battles set in the great Warhammer 40,000 universe. The project pits Imperial Space Marines against the Tyranid swarm. Each map sees both teams competing in a series of mission objectives, culminating in a battle to decide the fate of the planet. This mod is purely multi-player, there is no co-op mode or player bots available. Players that do well for their team are rewarded with the option to use more powerful player classes including special and heavy weapons marines, terminators, the tank like Carnifex and terrifying Lictor. The mod is extremely impressive. Majority of it’s content is new, including models and textures. 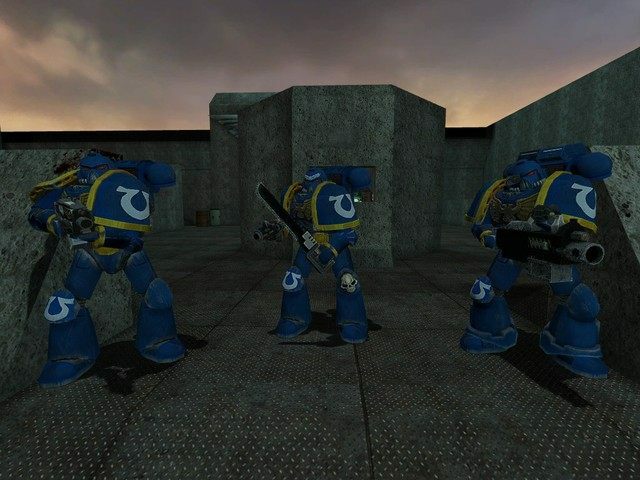 The creators have also modified the gameplay heavily, so that it’s faithful to Warhammer 40,000 lore. If you like this universe, Exterminatus is absolute must-have.